This is an Eco-friendly paint class using hand painting techniques and stencils you create! PLEASE bring: 2 x T-shirts, one of dads old T-shirts or a VERY large one, plus one that fits you (new or 2nd hand). The large T-shirt will be made into an eco-friendly bag decorated with your design. 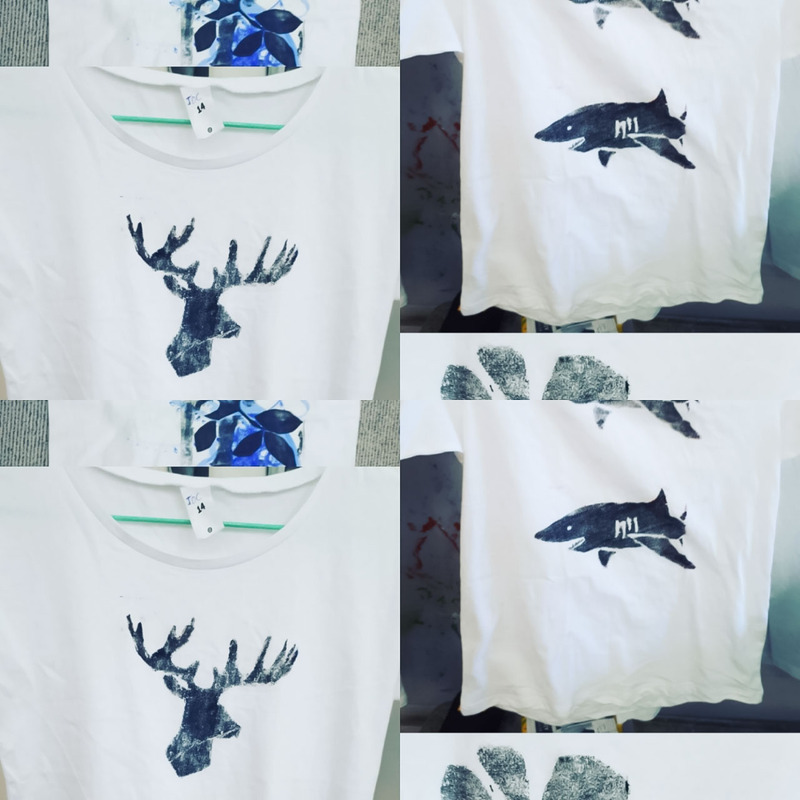 The other T-shirt will be yours to wear once you have created your own print. All other materials are provided in this easy take home fabric printing workshop.